Making the decision whether to file for divorce is difficult and often comes after a long period of compromise, personal reflection and struggling to “make it work.” However, if you feel ending your marriage or common law relationship is your only option, it is important not to rush into divorce proceedings as even the most amicable divorce can have serious personal and financial consequences. Realizing your marriage may end can be extremely emotional, but there are five practical things you should consider before filing for divorce. Before ending a marriage, it is always worth talking to a couples counsellor or an individual therapist. If counselling cannot resolve the issues in your relationship, it may be a sign divorce is the right option. However, therapy should not stop with the decision to end the marriage. A qualified counsellor can also help as you go through the steps of ending your marriage. Divorce counselling can help you identify what went wrong, develop coping strategies and ultimately move forward post-divorce. If divorce seems inevitable, talk to a lawyer. It is essential to understand your legal options and how your actions in the lead up to separation may affect the outcome of the divorce. 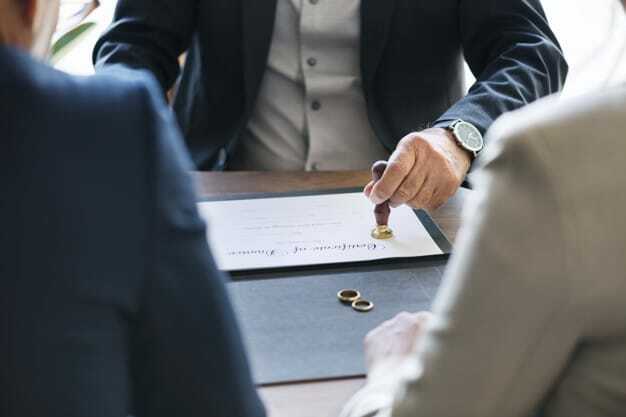 You will need to identify your grounds for divorce, ensure you fulfill all requirements, understand the separation and waiting period, and be aware of the implications of a contested divorce if your spouse does not agree to an uncontested divorce. And that is all before getting into the more complex matters of splitting assets and determining child custody. A great divorce attorney will do more than tell you to get a divorce. They will work hard for your interests through the entire process from filing for divorce to arriving at a separation agreement. How do you want your life after marriage to look? Determine what you want from your divorce, whether it is a clean break, an amicable co-parenting relationship or to hang on to property and assets you are entitled to. Identify with your lawyer what your priorities are and develop a strategy to achieve your goals. If you still are on speaking terms with your spouse, trying to find a compromise that meets each party’s most important priorities may be worthwhile. Take steps to safeguard your assets as soon as possible. You may want to do this before asking your spouse for a divorce. It is an unfortunate reality that in the emotionally charged period at the start of a breakup some people lash out by depleting joint bank accounts, lines of credit and credit cards. Make sure you have your own individual accounts to manage your finances and where possible freeze or close any shared accounts. 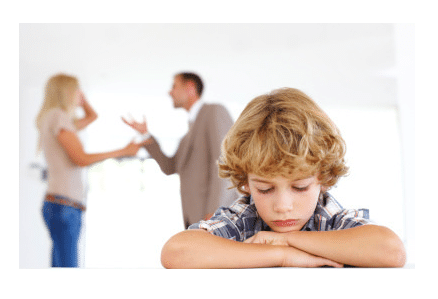 Do not move out until you have spoken to a lawyer and begun divorce proceedings. Leaving your home without good reason may result in loss of possession of the home or custody of your children. You may also not be able to return to the home until the court divides your property. If, however, your spouse is violent you should take all steps necessary to protect yourself and your children, including leaving the home. If you have children, they should be your first concern in a divorce. Try to maintain their sense of security and continuity by working with your spouse to establish pick-up and drop-off schedules, and shared responsibility for activities and appointments as soon as possible. Prioritize making time for your children. Avoid letting the end of your marriage affect how you interact with your spouse as a co-parent and don’t try to come between them and your children. Divorce can be a long and emotionally draining process. By taking these five practical steps to prepare yourself, you can ensure a smoother divorce process and a better outcome for yourself and your family.